I reviewed 20 resume services commonly found on the Internet and have provided a detailed evaluation of the top resume writing services in the business. This handy guide will give you the pros, the cons, prices and products. A brief word about resume pricing. There are no services listed at below $100. You may see services listed at $49, $69 or $89 for same-day service, but my evaluation indicates that if you engage this type of program, you would be better off money-wise doing your own resume. At those prices, resumes are often sent overseas to India or The Philippines. They do not include a personal interview and often only the order of the document is changed or minor formatting is completed. Many of the resumes returned were worse than at the start. This overseas industry thrives on the concept that a consumer will not spend a lot of time fighting about a small amount of money and just accept or throw away the end product. Also be aware of "guarantees" or "money back" programs which appear to be scams. If you have seen these offers and want to learn more, read through all the reviews below. My experience is you will not find a competent US resume writer who does it for a living at really cheap prices. A hard and fast rule is always talk to the person who will do your resume before making any payment. Do not pay anything until you have had telephone or in-person contact and you are confident the service is legitimate. It does not take much to create a fancy website and when the heat is on, services change their names and reappear with another fancy website just to repeat the process again. One client of mine ended up buying from the same company twice under two different names only to find they they had spent more than if they had sought out a local resume writer. You are better off driving 20 minutes to meet someone. A phone call may sound convenient, but you never know what you are getting until you walk into an office, look someone in the eye and shake hands. Read on and make the right choice. Eight offices in Chicago and the suburbs. Offers a free in-person consultation. In business for more than 20 years. Pricing starts at $145 for entry level resumes. Company says they have successfully served 100,000 individuals. Resumes are stored for life at no cost for low cost updates. Offices are located in the Chicago Loop, Chicago Lakeview, Oakbrook, Naperville, Schaumburg and Tinley Park. New York resume writing service specializing in Manager to Executive resumes. Company provides a free consultation for evaluation and a quote. Services can be initiated by sending current resume to resumes@razoredgeresumes.com. Pricing ranges from $300 to $500 for a two-page document, less for one-page documents. Approved Career Expert by Tim's Strategy. South Carolina resume service specializing in executive and international resumes. The writers at The Advantage assess your objectives and create documents that are effective personal selling tools. 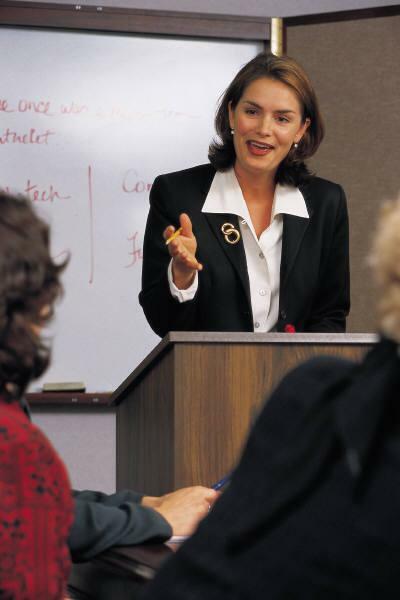 Pricing ranges from $750 to $1500 for executive presentations. A full range of research, coaching and resume distribution services are offered at additional cost. Located in Lincoln, Nebraska, Haute Resume & Career Services has served thousands of job seekers. Their motto is, "A Cheap Resume that doesn't Work...isn't cheap." Pricing ranges from $299 to $699 based on experience levels. Resume writing staff is supervised by Angela Jones, an internationally recognized resume professional. Canadian-based resume service. Call in and they evaluate your needs then assign a writer from their pool of freelancers. Company provides reasonable phone support. Since the freelancer pool changes it is most likely you work with someone new each time your resume is done. Services priced from $200 to $600. Provides a money back guarantee if you conduct your resume by certified letter and place your claim within a 15 day window. Company is owned by Azoos, Inc. in Clarion, Florida. They operate under 20 or more website names. Resume Writing Group was formerly Resumes Guaranteed. Resumes are provided by freelance writers. Numerous complaints that guarantee was not honored. Excellent option for simple resumes. Operates from New York City under the owner Justin. All contact seems to revolve around Justin with contract writers preparing the resumes. Company advertises resumes for $99 but customers have been charged up to $300 when rush fees, packaged services and surcharges are included. Justin is very personable but can be difficult if a customer is unhappy. If you just need formatting or you are pursuing a minimum wage position, these services may be helpful. Ironically, to get a resume done, you usually have to write everything out and then enter your information into a computer document. From there, bolding, tabs and underlining are done with a automatic spell check. Content wise, you will receive almost what you submitted. If this is the type of service you are seeking, run a search for cheap resumes and there will be plenty of individuals willing to take your money from you. Unfortunately, many talented people have lost job opportunities by not taking the resume writing process seriously.